MyCause connects “hearts to carts” by providing a personalized cause marketing platform for websites. Allowing your customers to choose the cause that is most important to them creates stronger emotional connections to your brand. You'll get loyal customers who return over and again to shop with you online. MyCause is a highly customized online marketing program that is easy to implement and maintain. Attract and retain customers - the right ones! By putting them in control, you'll get significantly better engagement. Compete with programs like Amazon Smile without the administrative or technical hurdles you'd face setting up a similarly competitive program yourself. 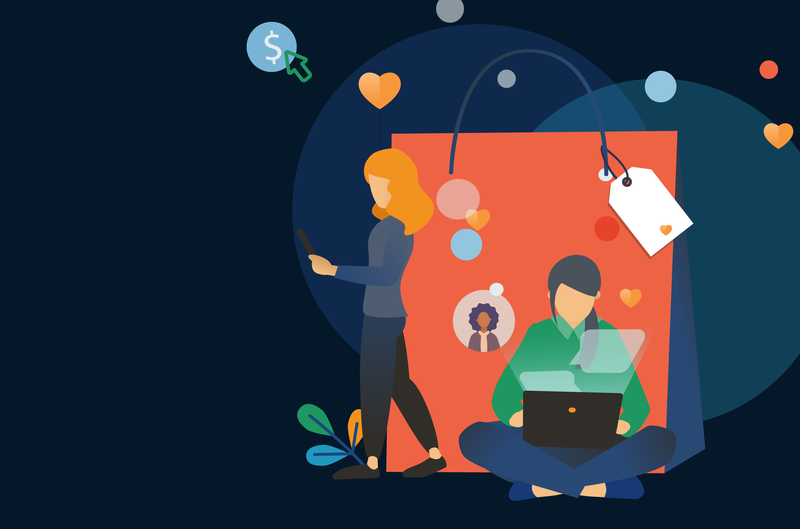 Easy to implement and maintain, this customized online cause-marketing program connects your customers hearts to your shopping carts. It allows their shopping to support the cause most important to them, making your brand more important to them too. Shop to fundraise! Over the last 20 years eScrip has raised more than $450 million for schools & nonprofits all across the United States while creating thousands of loyal customers for grocers, restaurants and retailers in towns and online across the United States. Reach & retain your best customers through meaningful rewards. Let us do the work of running a smart rewards program so you can run the store! WIN Rewards is a seamless customer experience with intelligent data systems to keep improving your reach. We are one of America’s largest loyalty marketing companies supporting local and national causes. We are a small team of highly skilled marketing professionals and community development experts focused on driving sales while simultaneously strengthening your customer base within the community. Our rewards programs have a focused goal: to keep sales within your store. Our belief is that merchant contributions to the community should not simply be a give-away, but that there must be a profitable business case in doing so. Just as importantly we believe the results must prove themselves on a customer-specific basis. Our rewards shoppers, those that earn contributions through their purchases at your store, represent a vital consumer demographic to our merchants. We can tell you more in-depth in under 15 minutes to find specific solutions for your needs. Reach out and schedule a call to find out how we can help you. Loyalty Marketing with a Purpose. © 2019 Electronic Scrip, Inc. All rights reserved.